Class size-14 puppeteers, Grades 1st-6th. Who doesn’t like puppets? 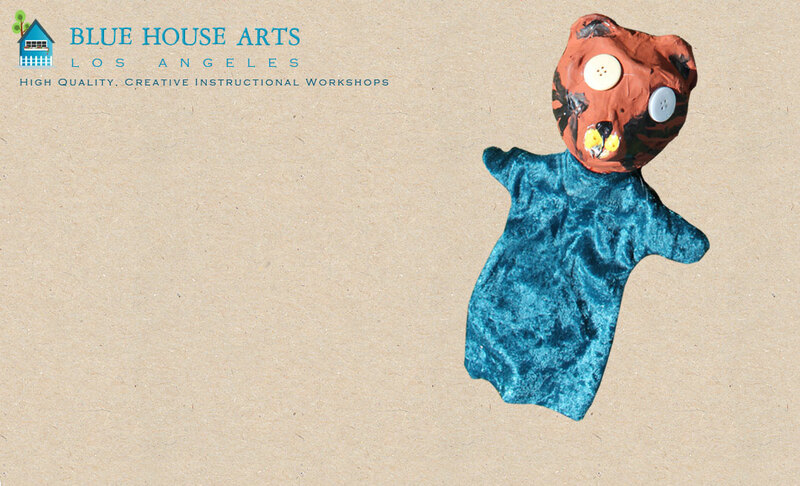 We will learn how to make several types of puppets using a variety of materials such as recyclables, foam, fabric, and paper mache. Come on a walking field trip to the 99c Store to select an item to transform into a puppet. Scenery and props will also be created by the students. There will be a puppet show on Friday at 3:00. Workshops begin with writing or adapting a story, followed by the design of unique puppets. We explore using voice and movement to make the puppets come alive. A live performance completes the process. the puppets, props, and scenery.